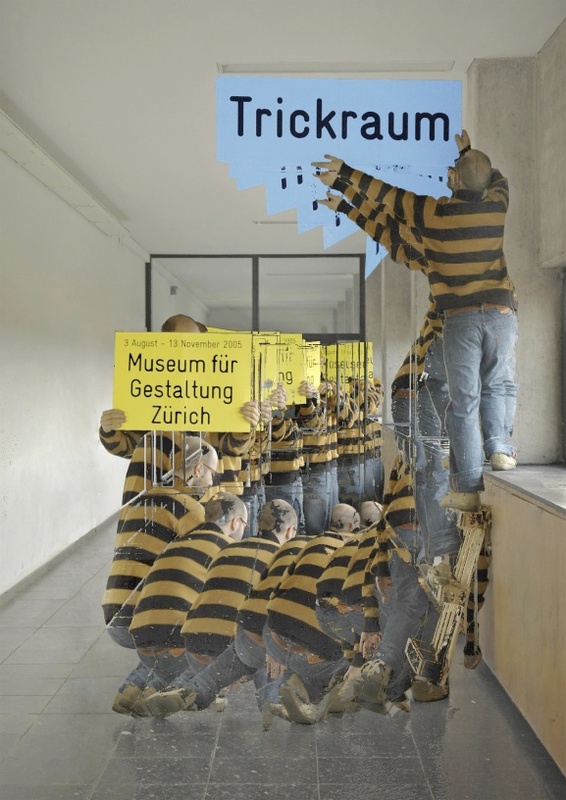 Redesign exercise for the exhibition poster “Trickraum” (at the Museum für Gestaltung Zürich). The project was part of the typography class at the HGK Basel in my 7th semester. The poster is based on a sequence of photos taken in a row. The sequence was processed afterwards with custom developed “difference” shader in vvvv.